Interesting set details such as how and where they were distributed, etc. Bench Warmers, DC/Marvel, Funko, Garbage Pail Kids, Star Trek, Star Wars, Wacky Packages. From the No. 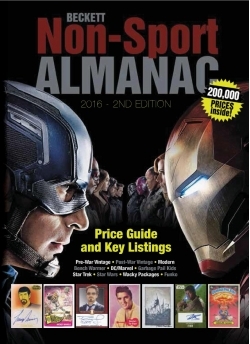 1 Authority on Collectibles comes the second edition of the Beckett Non-Sports Price Guide. post-war vintage and modern era.